How boring is the off season! After an up-and-down 2018 season, the Sharks finished one game shy of the big dance and us Sharkies fans quickly turned our eyes 2019. Grandpa Shark signed on for one final hurrah and hope abounded that 2019 would see a repeat of 2016. Since then, in what I feel is a somewhat of an understatement, all hell broke loose. In no particular order, Valentine Holmes walked out on the club to do a “Jarryd Hayne” and attempt to play in the NFL, while coach, Shane Flanagan was deregistered, the club copped an $800,000 fine and still has a salary cap investigation hanging over it. Did I mention that they also lost a whole heap of money in 2018 and have no sponsors for 2019? Never a dull moment for the Sharks! At least the Warriors decided to give us their best player with a year to run on his contract, despite having no replacement for him. Outs: Valentine Holmes (NFL), Jesse Ramien (Newcastle Knights), Edrick Lee (Newcastle Knights), Ricky Leutele (Toronto Wolfpack), Kurt Dillon (South Sydney Rabbitohs), Luke Lewis (retirement), Joseph Paulo (St Helens), James Segeyaro (released). One of the more intriguing things with John Morris being named as interim coach is his relationship with Cronulla’s young guns. He coached the 2017 NYC team featuring guys like Kyle Flanagan, Blayke Brailey, Billy Margoulias and Briton Nikora to the minor premiership (we don’t talk about what happened after that). This same group of players easily handled the step up to reserve grade last year (where they made the grand final). I’m not sure if it’s me projecting or not, but I reckon we could see a few of the young guns play significant roles this season in first grade. Teams they play twice: Titans, Cowboys, Eels, Panthers, Broncos, Storm, Dragons, Raiders, Warriors. Teams they play once: Knights, Roosters, Sea Eagles, Bulldogs, Rabbitohs, Wests Tigers. On paper at least, Cronulla have a good start to 2019. While three of their first four games are away from home, they are all against bottom eight teams from 2018 (Knights, Titans, Cowboys, Eels). They’ll have a tough stretch coming out of Origin period with Melbourne (Rd 17 – away), Warriors (Rd 18 – away), Cowboys (Rd 19 – home), Souths (Rd 20 – home), Penrith (Rd 21 – away) and St George (Rd 22 – home). But from then on they have five of their last seven games at home. For those who took a gamble last year and started with Fifita in the brand new world of FRF (aka where did all my dual options go? ), it worked out pretty well. Fifita finished 2018 as the leading FRF eligible player, which is not a bad effort considering he was struggling with an injury for a large chunk of the last season (resulting in him not training too much in the later part of the year). Barring an off-field related controversy (we can’t handle anymore…. ), he should once again be one of the premium guns in the game, not just at the Sharks. Set him and forget him. For a team like Cronulla who always have plenty of go-forward, but struggle in the red zone, Johnson could be the key to unlocking their attacking potential. The great unknown, however, is how will he adjust to new personal and a new structure. There’s a school of thought out there that because he’s priced at his peak (approx. 64 PPG), he may have a slow start to the season and be able to be picked up at a discount later on. The counter to that, Cronulla have a relatively soft early draw. So there should be plenty of points available for the gun half. However, of course it would be negligent of me not to mention that he has lost his dual status in 2019. A move (back) to full back gives Moylan a chance to relive his SuperCoach glory days. His pedigree at fullback is well known and given that he is priced at an average of approximately 52 PPG, there’s some value to be had if he can get back the 60 PPG odd that he averaged at Penrith. If he can take advantage of Cronulla’s early draw, he has the potential to start the season well. Sorry Gal. You’ve been good to us, very good. But the time has come. 2018 saw his MPG and (perhaps more concerningly) base PPG drop. BUT. For a 107 year old, an average of 58 PPG is not too shabby; however, it is long way attached from the glory days. Oh the glory days…. Sadly and realistically, his minutes should fall further this year. If either of them locks down an 80 minute edge role (and with Luke Lewis retired and Wade Graham injured they may both do so) they should provide great value. Across the past two years, when he’s started in the second-row, Capewell has averaged 72 MPG and 45 PPG, which works out at approximately 50 PPG in an 80 minute role. At 50 ppg, he’ll make approximately $125,000. Delicious. Sorenson on the other hand is priced at approximately a 37 PPG average, but when playing 80 mins in 2018 he averaged 53 PPG. If he can get close to 53 PPG he’ll make $145,000. Oh Mylanta. Flanagan was looking a likely prospect when it was announced that Holmes was departing. However, with the signing of Johnson, he falls back down the pecking order. It seems like the best he can hope for (barring injury of course) is a bench spot for round 1. He’ll have to use that as a platform to unseat Chad Townsend further into the season. I’ll let you in on a little secret here. Over the last couple of years, Nikora has been groomed to take over Luke Lewis’s edge role. Coached by Morris in 2017 and now with a couple of pre-seasons with the top squad under his belt he is a smokey for a starting spot. A very enticing one at that. Another one of the highly touted rookies, Magoulias is in the same boat as Nikora and has been groomed as Gal’s replacement. 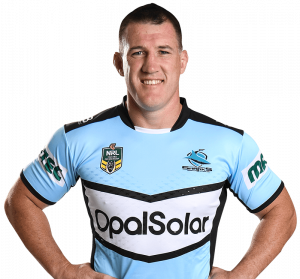 With Gallen still lacing up the boots, it may still be a season too early for him to be SuperCoach relevant. So greedy, Gal, geez! This kid can play. He would have played NRL last year except for the small fact he wasn’t old enough. His preferred position is centre, but there’s talk that he’s in the mix for a spot on the wing come round 1. Wow top read, very insightful muchos gracias. Fifi will be in my starting squad for sure. SJ is a candidate as well. I don’t think they mess with his natural game at all. He’ll gel pretty quickly I think. The backrowers are a gold mine at the moment, hope they don’t turn into coal before rd1. Moylan is in the “ can’t have em all “ basket for me. Happy with the one’s I have in his positions. Thanks for the great work mate. Nice one great read , sharkies and cows seem to have a heap of options this year. That no more than 4 players in my team rule will be tested this year . Loving these articles! Last year was the first year I didn’t start with Fifita as he had burnt me been a slow starter didn’t that backfire. I reckon NRL.com are kidding themselves with that starting 17. Sharks will carry a utility on bench (I think most likely Brailey Jnr), Capewell starts and no way Sorrensen isn’t in the 17 (most likely starting until Graham is back. FIngers crossed Nikora gets Graham’s spot till he is back and Xerii scores a backline spot over Feki. I agree… No way Williams makes the 17 and I find it hard to believe Bukuya makes the 13. Seems like Flanno Jr has the inside running on 14. Feki came back last year from being dropped and played very well. I expect he’ll get first crack at wing. Interesting team the Sharks this year with a new coach, two opening spots in the back row and some young guns coming through. What is the opinion on Bukuya? Is he considered a middle third player or is he a chance to lock down bigger minutes on one of those edges? Would love to see Nikita get the chance. Bukuya’s minutes started declining in the middle of last season. Think he is forever a bench player now that can play decent minutes when an early injury hits the team. Over the last couple of years he has split time between the edge and middle, which made it a nightmare to try and include in the edge discussion (trying to guess a ppm). He’s had plenty of chances to try and lock down a starting spot, but I think his time has passed. Tnks Dravid, All those boys on my radar, but i’ll wait on all but the cheapies /ctw eligible players. It has certainly been a benchmark preseason . New coaches , Gal , morris , Wade , Dymock. mr email . It is going to be hard for the players to know who to listen to. A wait on most and target from 12 onwards. With Flanagan officially stepping down today, I’d be surprised if Morris wasn’t named as Head Coach. He’s been running the show in Flanagan’s absence and it seems it would be the easiest transition. It’s not like they are flush with funds to chase a big name. Yes, he was one of the ones who were changed late.